Equip your ladder with this temporary stainless steel securing device. 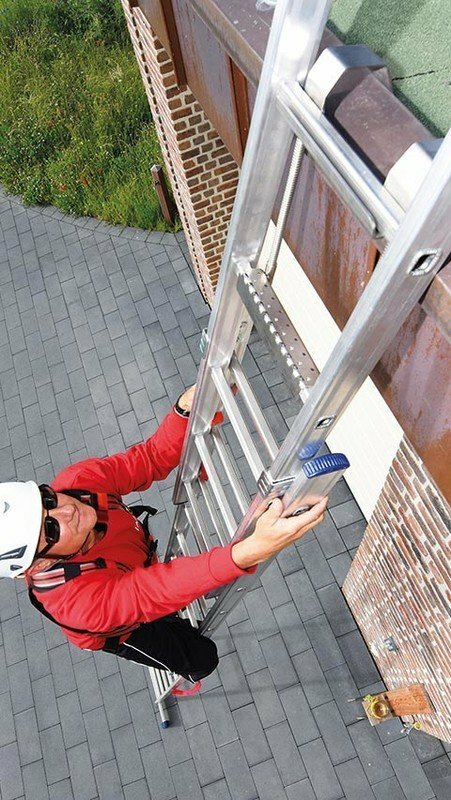 This ladder safety solution prevents your ladder from tipping and slipping. 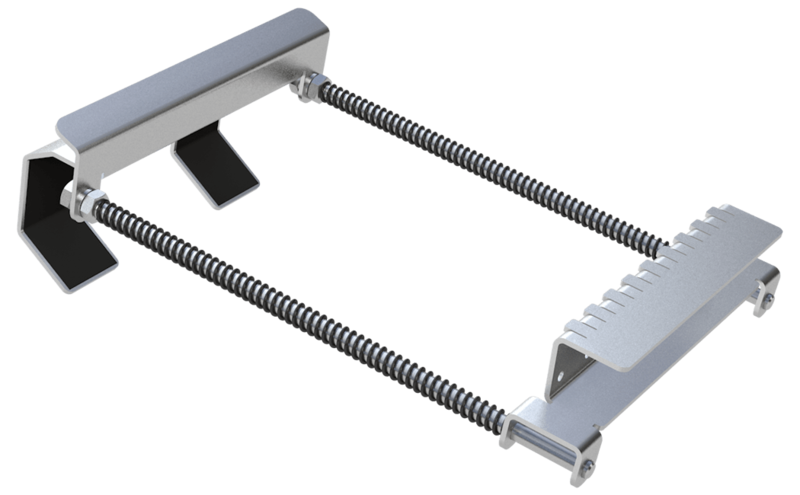 It is simply clamped between 2 ladder rungs (at least 250 mm wide) using a stainless steel spring mechanism. 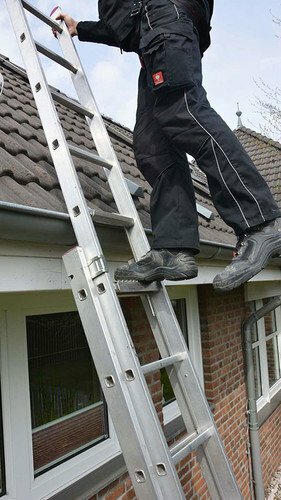 Statistically, falls from or whilst using ladders are the most common cause of accidents. Every year, thousands of workmen are seriously injured because the ladders they are using do not have a stable footing. If a ladder unexpectedly tips sideways, injury and absence from work are inevitable. Our ABS LaddQuick ladder safety device solves this problem. This temporary ladder safety device is manufactured completely from weatherproof stainless steel. Use the 2 securing brackets to attach your ladder securely to a rain gutter, flat roof, stable fence or rail. Our ABS LaddQuick prevents you from slipping or tipping over sideways. 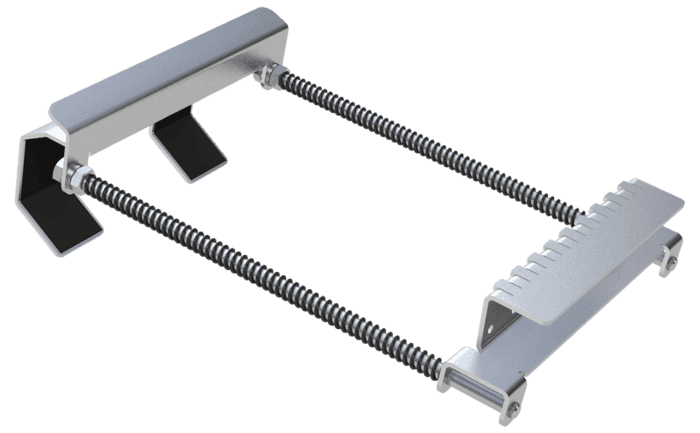 The system is simply clamped between two ladder rungs using special spring devices. Our ABS LaddQuick can be used in combination with all common ladders with rungs that are at least 250 mm wide. The footstep has a non-slip surface. The ABS LaddQuick is an extremely compact device and is equipped with a practical clamping mechanism - making it the ideal partner for all applications. You simply take it along from one job to the next. If you require a solution which can be permanently fixed to your building, you will find our ABS LaddFix model just perfect.